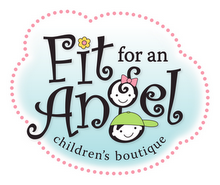 Based in Hollywood, Florida, Fit for an Angel Children’s Boutique brings decades of experience in the children’s clothing industry to you. It’s a place where you can shop with complete confidence, assured that you’ll be getting the best possible quality and value with every purchase…guaranteed! We specialize in premium items of quality–those made from the finest materials available–and strive to provide a high level of service to match. Orders may be placed on our website, fitforanangel.com, 24 hours a day, 7 days a week. We can be contacted via email at customerservice@fitforanangel.com or you can call us toll free at 866.993.4242. Our customer service line hours are Sunday thru Friday from 9:00am to 6:00pm EST.